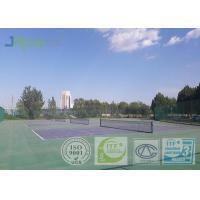 It is new material for the sport surface. The structure is hard top and elastic bottom. It is One-component polyurethane, it is water-born material ,adding water and make it curing, it don't need any hardener. It is no smell ,both for indoor and outdoor. Install on the concrete directly. The structure have buffer coat and top coat. Silicon PU is not only polyurethane mix with acrylic , or polyurethane with sand.with cushion effect. 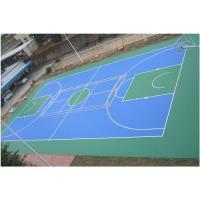 1) Comfort; Due to the buffer coat layer, the floor is very comfortable to play on compared to the commonly used hard court solutions. 2) Safety; with its renown, durable silicon PU top finish with its well-balanced friction/sliding properties, the Comfort Court offers safety for the players at all time. 3) Seamless design; 70% of all floor failures start with a seam; so, no seams, no problems. 4) Closed surfaces; No dirt or bacteria can penetrate the floor; very easy to clean, very hygienic. 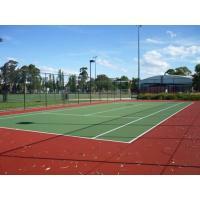 5) Multisport use; The surface makes it suitable to play all kinds of ball games, including tennis, basketball, handball, football or netball. 6) Every design is possible; Including using more colours in one floor or inserting a sports club logo in the floor. 7)Excellent UV resistance; This ensures a surface with the same appearance for years and years after installation. 8) Resistant; silicon PU Comfort Court is resistant against cigarette burns and many common chemicals. 9) Easy to repair; When the floor is damaged, it can be repaired seamlessly. 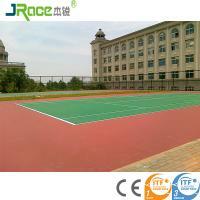 10) Asphalt or Concrete sub-base; Both are suitable for silicon PU Comfort Court. 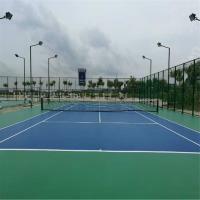 There are no limitations when you choose to install a silicon pu Comfort Court system. 3. 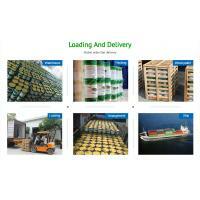 Our goods delivery and package . 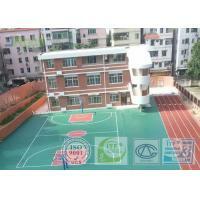 It produce sports flooring material which were used on athletic tracks and basketball court, tennis court, volleyball court, badminton court, playground ect. Since 2007. 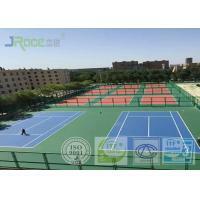 JRace mainly product include PU athletic tracks materials, Silicon PU materials and Acrylic materials which well known with brand "JRace " & "Green Grass" & "Repus" in China. JRace has its worry-free after sale one-stop service system. 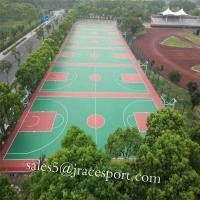 First of all, JRace have its own independent research and development team and a complete set of international standard R & D testing equipment since 2013, it finished 20items research project, 5items got the National Patent, the Silicon PU and PU athletic tracks product have been identified as High-Tech products, JRace sports flooring materials passed IAAF, ITF, China Environmental Labeling Certificate. The second, JRace has two factories in Guangzhou and Qingyuan city, It have China's largest fully automated production base! 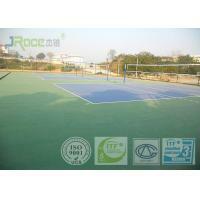 JRace have the capacity to supply products meet any buyer demands all over the world. 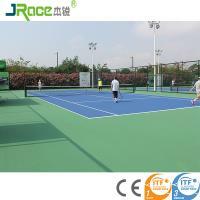 After many years of efforts, JRace become the high-tech enterprises with the most comprehensive strength in the field of sport flooring. As of 2015, JRace's business scope has been included in Asia, Europe, Africa and America four continents, laying a total area of 28 million square meters. 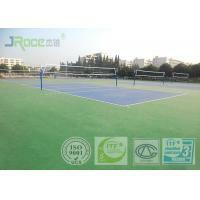 We believe that JRace will be the most powerful sports flooring materials manufacturer in world.